OSCAAR is proud to announce that Doug’s Gas Service will be the presenting sponsor for the Knightworks Design OSCAAR Hot Rod Series event as part of Flamboro Speedway’s Frostoberfest weekend on October 6. 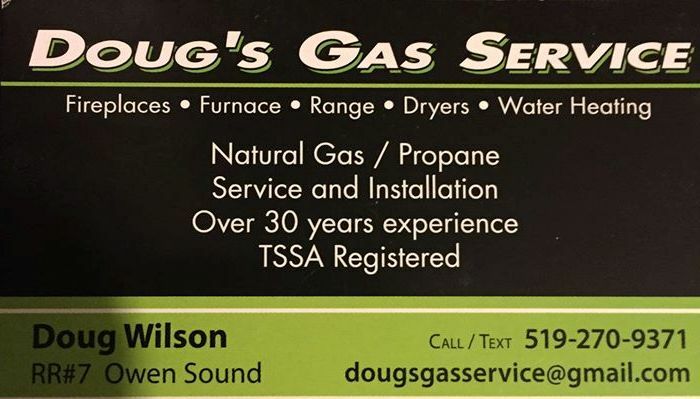 With 30 years of experience, Doug Wilson of Doug’s Gas Service is ready to handle any gas services that you require. Whether it’s propane or natural gas, he can do the installation for you, as well as maintain the products. His range of services include working on fireplaces, furnaces, dryers, and water heating. You can either call or text him at 519-270-9371, or e-mail him at dougsgasservice@gmail.com to inquire about his services. Feel free to check out his Facebook page, as well, at https://www.facebook.com/dougsgasservice/. The Knightworks Design OSCAAR Hot Rods always put on a thrilling event at Flamboro Speedway, as drivers battle door-to-door around the 1/3 mile located in Milgrove, Ontario. The Hot Rods crowned their champion last year at Flamboro in thrilling fashion with the lead changing hands multiple times over the course of the event. The 2019 campaign marks the third season for the Knightworks Design OSCAAR Hot Rods, and promises to be jam-packed with action as the series continues to grow. With over 20 drivers already pre-registered and working in their garages on their rides, you’re going to want to check out one of the most unique classes of racing in Ontario.